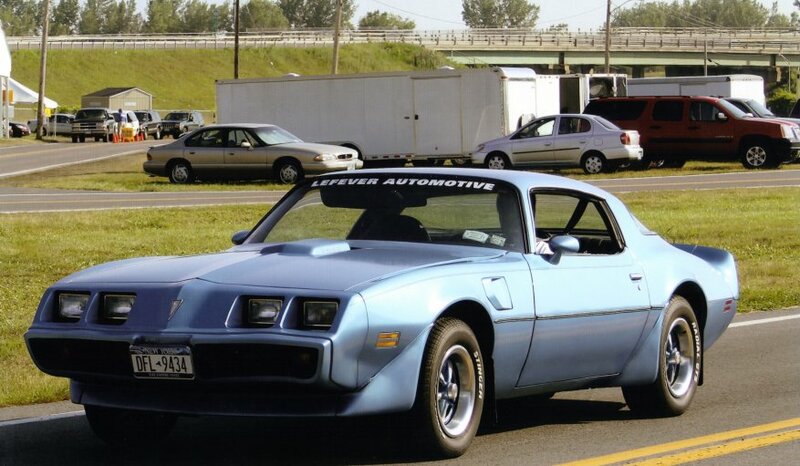 Probably the best driving American car ever is the second generation Trans AM. The "behind-the-wheel" feel is excellent with great steering wheel size, shifter location and gauge layout. Not only are these cars great looking, they're an air handling marvel that creates down force that you can feel increasing at speeds over 100 miles an hour. This combination was so ideal that the format was left virtually unchanged for 12 years! All that being said, the last two years of that run was limited to terribly under powered 301 and 305 engines. This T/A is a 150 horsepower 301 cu. in. (4.9L) automatic car with 2.41 posi gears. The car handled like a Trans AM and got 25 MPG but the 17-second 1/4 miles were a little hard to take. Dan wanted this car to feel more like the first part of the run instead of the last so he and Don made some major changes in the drive line to give the car a race car feel. The automatic was trade for a Borg-Warner T-10 and the 2.41's for 3.42's but the big trade was the 301 stepping aside for a 400 horsepower 455. The power was amazing and after re-springing the front end to compensate for extra weight, this car felt like a road racing beast that pulled like a freight train to over 130 miles an hour. The downside of this combination is high torque and poor gear pattern. It made it very difficult to leave at a drag strip. The super tall first gear that comes with a close ratio 4-speed and 3.42 gears made the car either sluggish on take off or go up in smoke. The best it could muster was a 2.6 second 60 foot time while watching his little sister run Dad's Z28 to a, just left in drive, 13.36 @ 105 to his 14.02 @ 103. The 455 ended up spinning a rod, so the T/A now has a 400 with same cam and intake combination. Lower compression and 55 fewer inches makes the wheel spin more manageable but the upper end charge is just not there. The car is still a joy to drive and is no push over but hopefully, one day, it will grace the power of 455 cubic inches again.